Together with Specialized Bicycles Levi’s GranFondo is continuing to support Youth and Cycling. 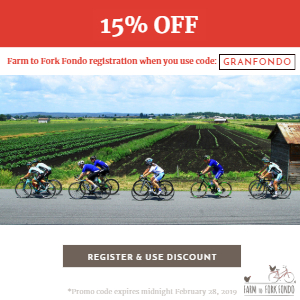 Now, anyone under the age of 24 can experience North America's most recognized GranFondo for FREE! Beginning this year, anyone under the age of 24 gets to ride Levi’s GranFondo event for FREE. There are no special gimmicks. Just register online and enter your birthdate. You will be required to show proof of age at rider check-in. Anyone under the age of 18 years old will require a parent or guardian to be present to sign our liability waiver. Anyone under the age of 15 requires a parent to ride with them as a chaperone. Forward this message to every young rider and parent you know. We want to share the GranFondo experience and give everyone the opportunity to ride the GranFondo. Together we can bring full-circle the gift of freedom that comes from the bicycle.
" In our 9 year history, we've generated over $2 million dollars for charity. Most of it in support of youth in The NorCal High School Cycling League, local schools, organizations that support at-risk youth in Sonoma County, and even across the country. The Partnership with Specialized will bring more youth to our event so they can experience first hand, the spirit and adventure of riding a bike at a GranFondo"
Standard rates increase September 1st.